The Sustainable Couple: The Best Lips Use EcoLips. The Best Lips Use EcoLips. 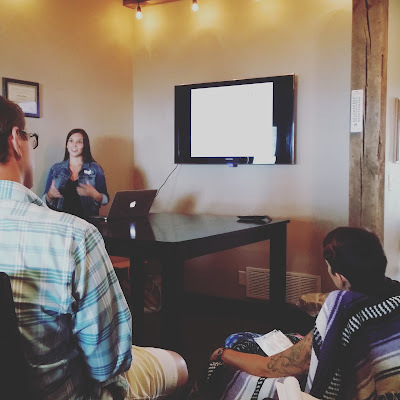 Last weekend I attended the annual #iowabloggersunite blogging conference, held at the Straw Hill Homestead (Michelle from Simplify Live Love and her family hosted us!). The main part of our day was held in their beautiful renovated barn. We had a full day of speakers and networking, an amazing potluck lunch (thank you, food bloggers…) and a tour of Michelle's Passive House, the first one in Iowa made by Oak Tree Homes. 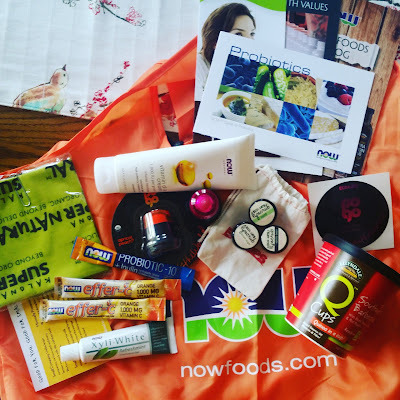 At the end of the day we got our hands on a beautiful swag bag, which happened to have some EcoLips goodies. Over the summer I went on a tour of the EcoLips factory in Cedar Rapids, Iowa. It was such a cool place! EcoLips officially began in 2003, but was around in the 90s as a company under different names and purposes. EcoLips survived the flood of 2008 in one of the lower floors of the historic Cherry Building in the NewBo District, and later moved to take on nearly the entire 2nd floor of the building. EcoLips brand lip products are all made from organic and fair trade ingredients. To verify this, Billy (my awesome tour guide) and I peeked at a few bits of paperwork for some essential oils that were received that day, and then we tracked that oil all the way to where it was stocked in the organic section of the storage area, to the 1st production line where EcoLips employees where making their signature Mongo Kiss balm. Truly, on that 1st production line I was able to see raw materials transform into a completely packaged organic lip balm all within a span of 25 feet. Within that short production line nearly 20,000 units of Mongo Kiss balm would be produced by the end of the shift. What's even more amazing is that most of the production on that line requires a human hand. There is a 2nd production line that does smaller custom orders (learn more here!) 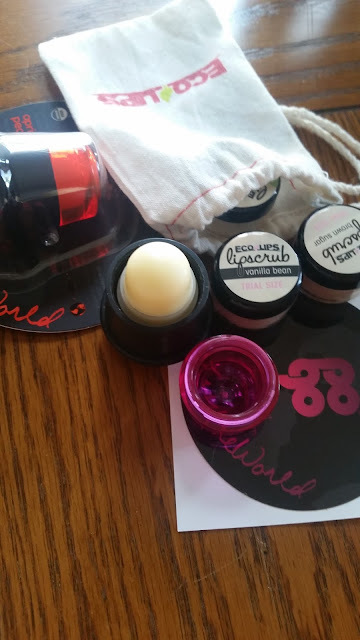 and the MY EcoLips line, and a packaging department where 100% of the labor is done by hand. They're the biggest small business I've seen in quite some time, and they're wildly successful. We're not talking Iowa or Midwest standards either. Additionally, every ingredient used in EcoLips balms are tracked from the moment they enter the door of EcoLips to the time they are packaged and distributed to vendors. (And these records are kept for five years!) 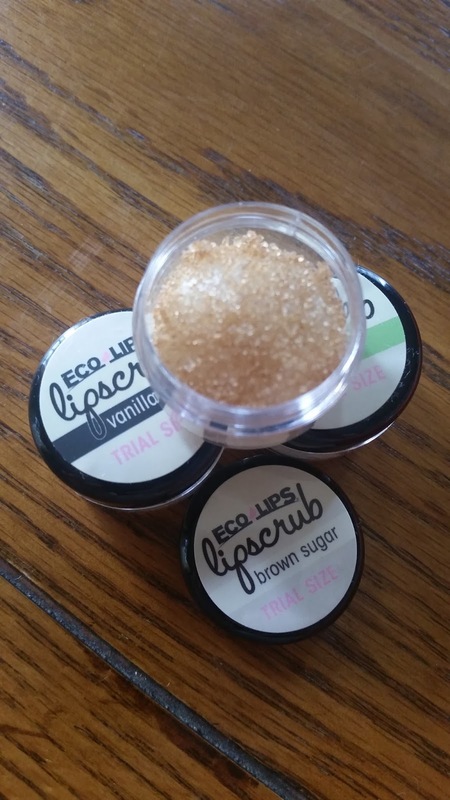 There is an insane paper trail for their certified premium raw ingredients, but this means if there is a problem with the product, the EcoLips staff are able to track the balm all the way back to the single ingredients that were used in it's making. EcoLips is outgrowing their space in the Cherry Building, especially since they are in the works of building a 3rd production line and a lab for testing. The EcoLips employees don't just manufacture EcoLips brand balms. They create private label products (learn more about that here!) and do contract work for other big-brand lip product companies. Billy was quick to assure me that while some of their contract work requests them to use non-organic products, they keep these products separate from the fair trade and organic ingredients. This is called "separation of raws" and assures that the EcoLips brand maintains a certain level of integrity, which includes using premium products that other lip balm manufacturers do not use. We've only opened the ICE ICE BERRY but it's so yummy and fantastic!! My daughter and I can't wait to scrub our lips with the scrub! !